See the meeting point on the map. 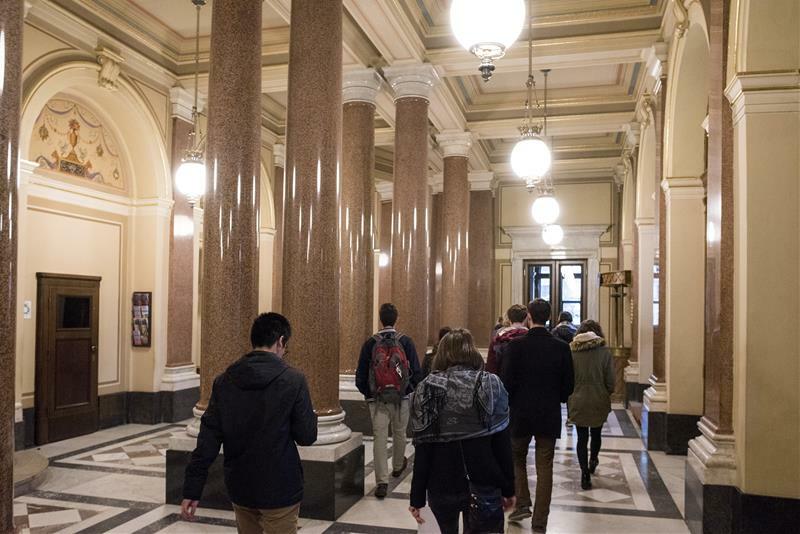 Would you like a behind-the-scenes look at the building and learn something about its history and about its present-day operations? 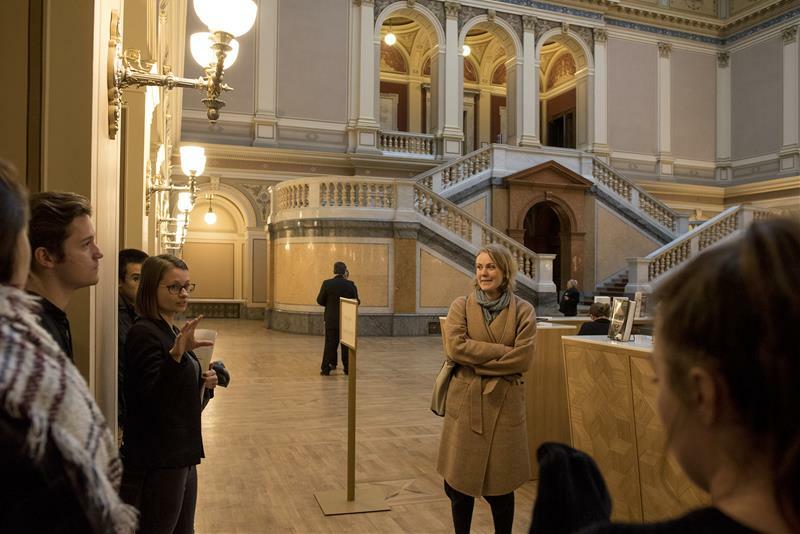 Come on a pilgrimage through the Rudolfinum with an employee of the Czech Philharmonic as your guide. You will be lead through the Ceremony Hall, and you will get to see the Presidential Lounge, the Dvořák Hall and the Suk Hall, and if the weather is good, you will even go on the roof, which offers one of the loveliest views of Prague. 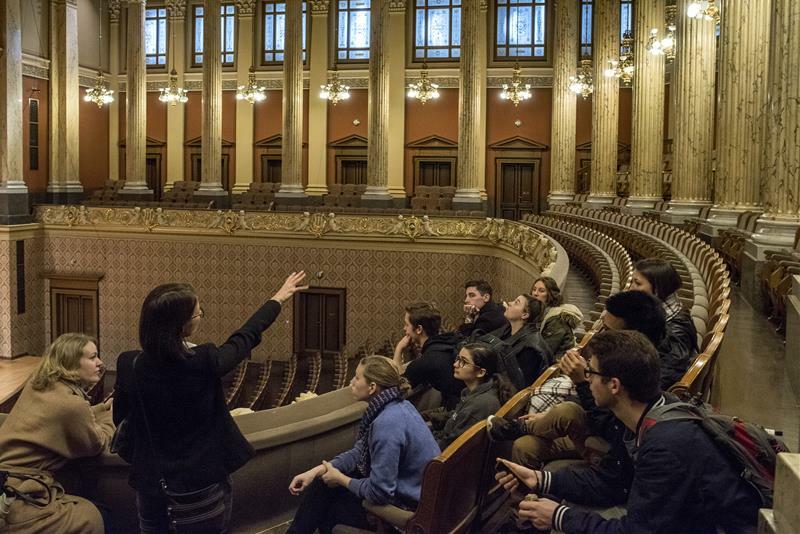 For all classical music enthusiasts this is a perfect chance to visit the most prestigious concert hall in Prague. 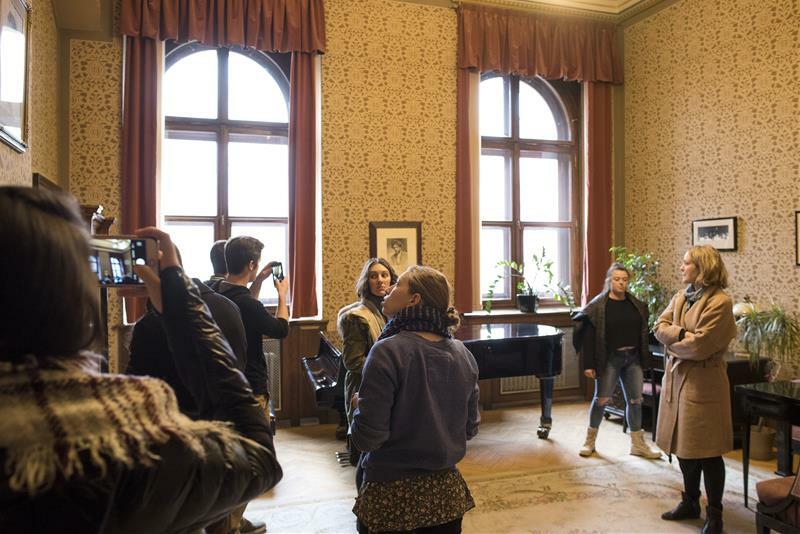 We specially loved standing on the Dvořák Hall´s stage (and imagining we are the famous soloists) and visiting the conductor´s room. The views form the rooftop are fantastic! 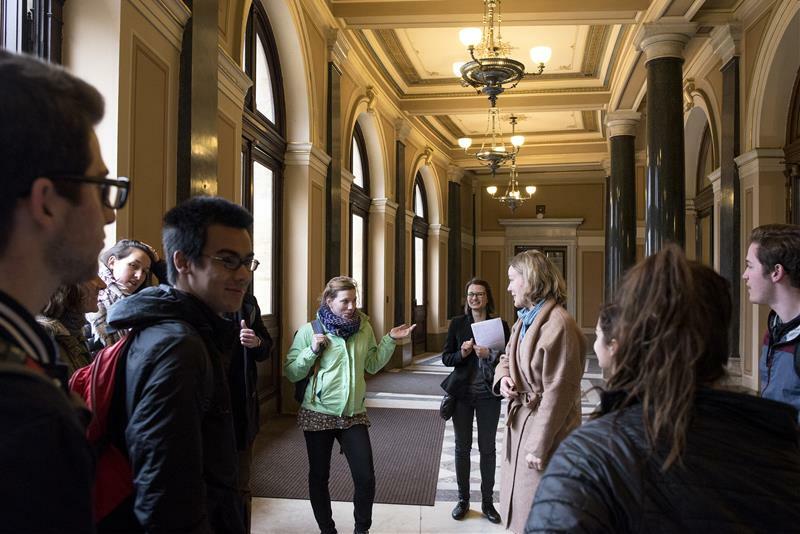 Your guide will wait for you in front of Rudolfinum at the main entrance. If the capacity of the tour is not filled, the organizer reserves the right to postpone the tour to another date. Check other sightseeing tours in Prague. 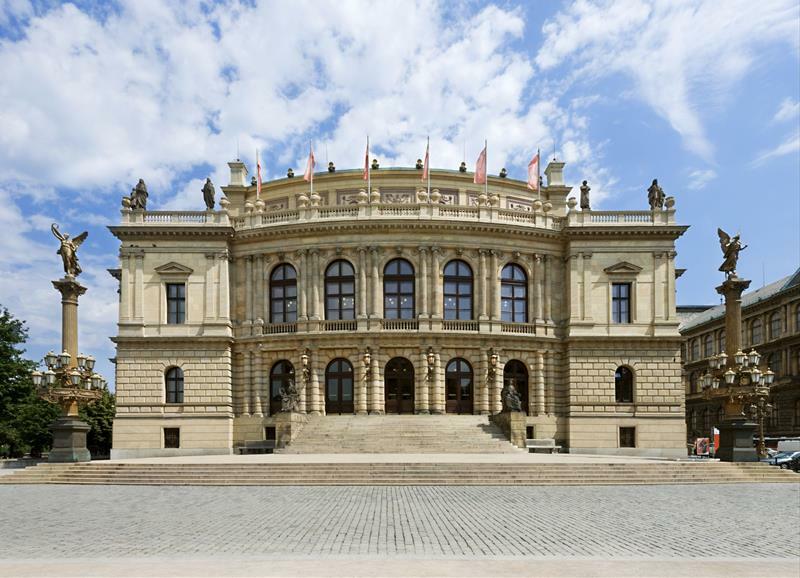 The majestic Neo-Renaissance building of Rudolfinum was erected between 1876-1884. It was conceived as a multi-purpose cultural center with concert and exhibition rooms. 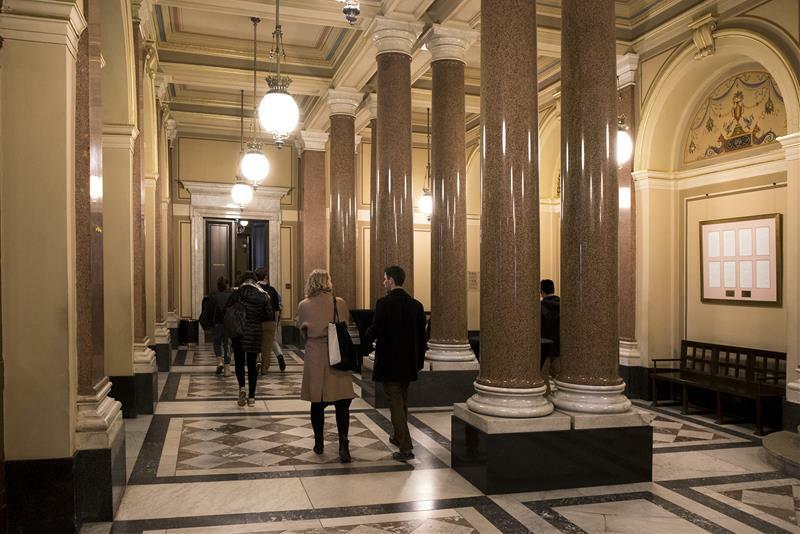 The building was taken under the patronage of the heir of the Habsburg throne, the Archduke Rudolph after whom the building was named. 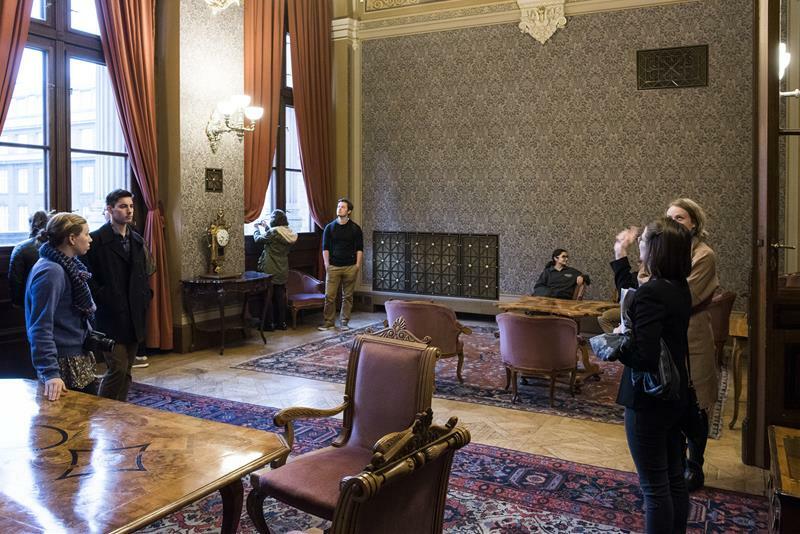 Over the years, Rudolfinum has served many purposes: i.e. 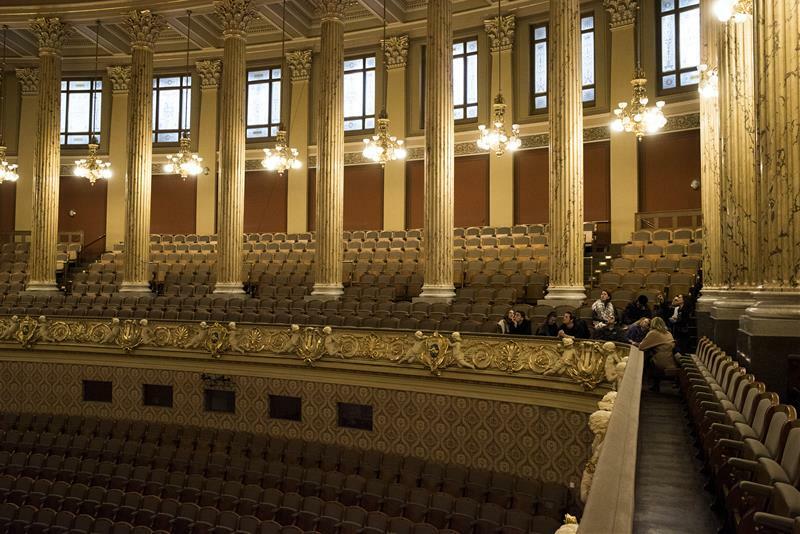 between 1919 and 1941 Rudolfinum functioned temporarily as an assembly hall of Czech Parliament. 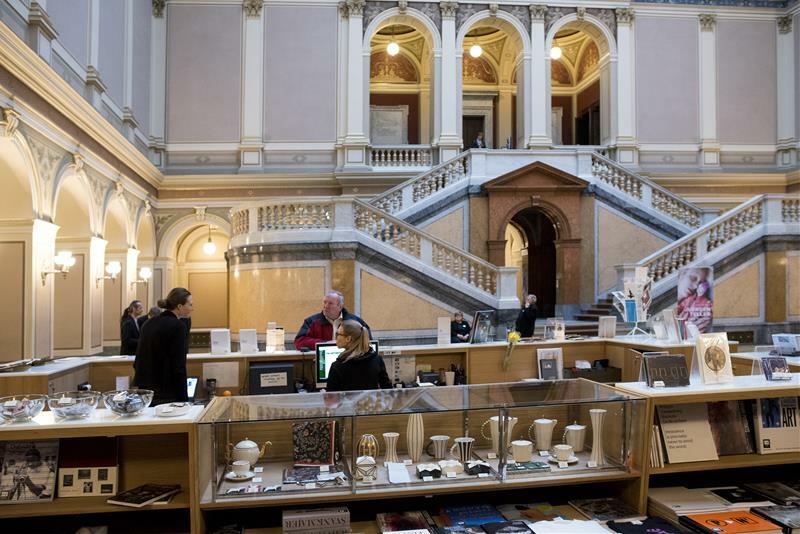 Since then it has functioned as a concert hall, exhibition space, and a seat of the Czech Philharmonic. Two concert halls stage the most prominent classical music concerts such as the Prague Spring Festival. 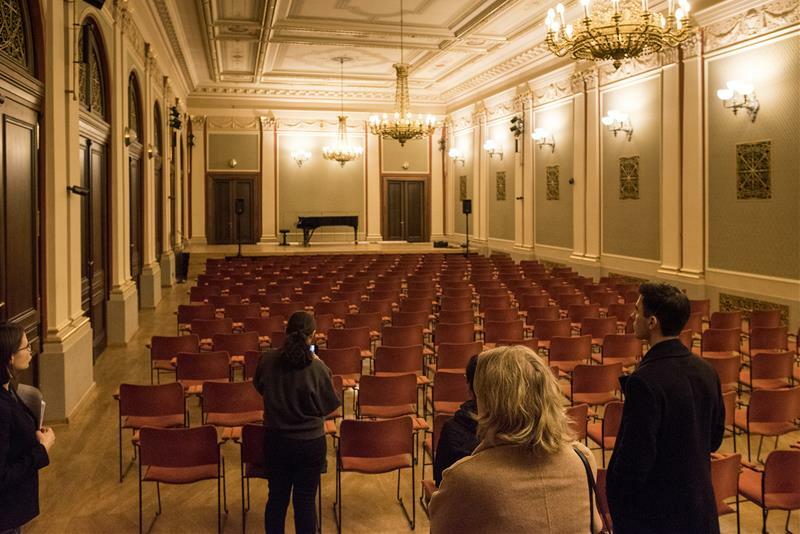 The main Dvořák Hall is considered as one of the most beautiful concert halls in Prague with excellent acoustics particularly suitable for symphonic and oratorial, as well as chamber music. There is also a magnificent organ in the Dvořák Hall. 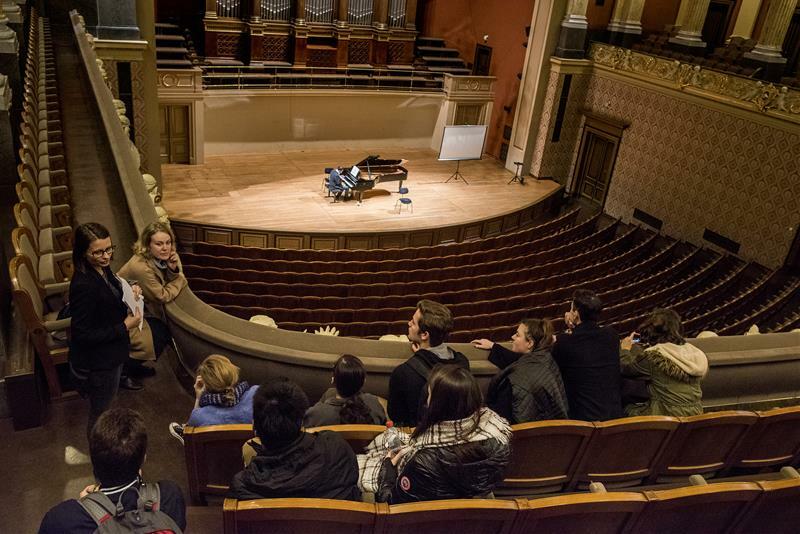 The intimate Suk Hall hosts chamber classical concerts, such as string quartets or piano recitals. 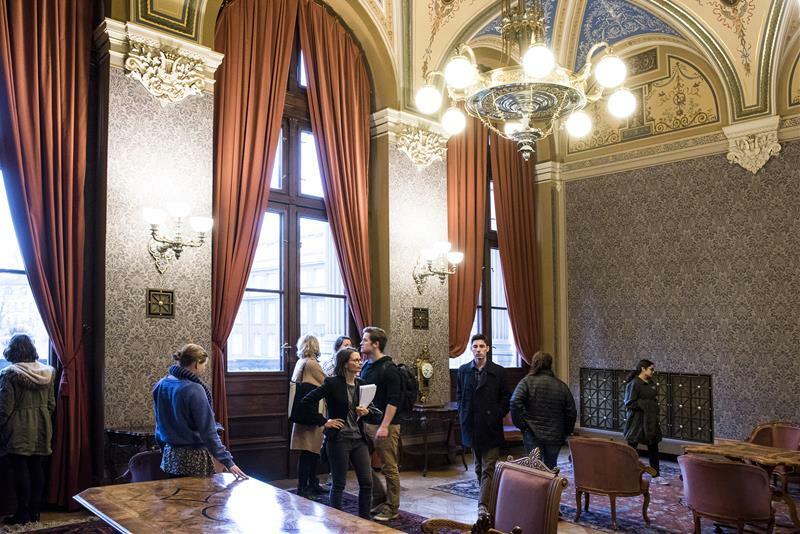 Festive atmosphere and great concerts held in Rudolfinum will not let you forget this exceptional space.